Matched betting is a great way for students to make extra money at uni. 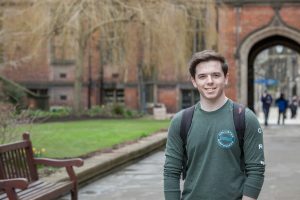 I caught up with 2nd year university student, Connor. You might remember him from his OddsMonkey Case Study. If you haven’t seen it, you should take a look. I’m studying an MSci in Biomedical Sciences. Do you live at home or away? I live away from home during term time. Have you had any concerns around doing matched betting in shared accommodations? 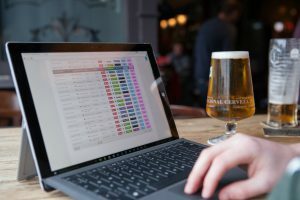 At first, I did have concerns as I live with 3 other lads, two of which have ‘normal’ betting accounts and the other, I introduced to matched betting. Because of this, I decided to buy a MiFi (a wireless router that acts as a mobile Wi-Fi hotspot). It’s an extra cost but it’s worth it in the end. 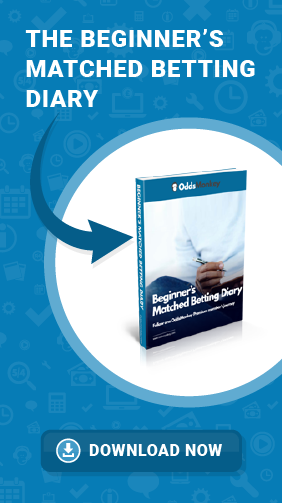 How long have you been matched betting and do you know how much you’ve made in that time? I’ve been doing it for just over a year and I’ve made roughly £5285 since I started recording my profits last September. How many hours a week do you spend doing it? The amount of time varies depending on the amount of offers that are available and my other arrangements (like uni work or family commitments). It can range from a couple of hours up to maybe 10 hours a week, but that’s quite rare. Do you find it easy to fit around your classes? Yes – I don’t have a problem fitting it around uni because most good offers are either on nighttime football or weekend stuff anyway, so it doesn’t interfere. Did you take a break for the summer? I didn’t specifically take a break, but I did slow down a bit and only did a little bit now and again. This was partly because there were less offers (due to the football season ending) and partly due to my lack of motivation over summer. Do you still have a part time job? Yes. Over the summer, I worked at Tesco and during term time I work at a restaurant. I choose to do this because firstly: I think it looks good on my CV to have had part time jobs whilst studying at uni and secondly: because I like to have a bit of extra money for day-to-day spending and use the matched betting profits for bigger things, like holidays or Christmas.